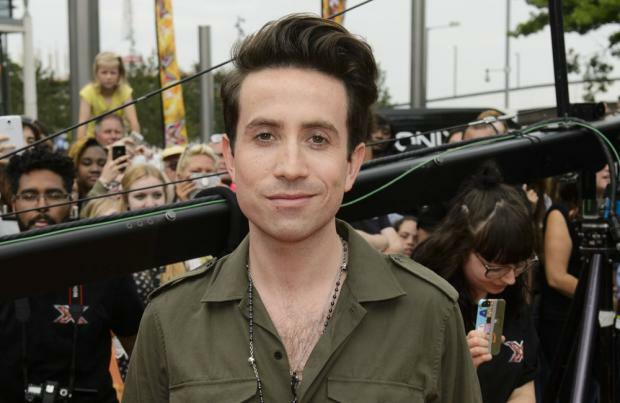 Nick Grimshaw wants Katy Perry to help him on 'The X Factor'. The 31-year-old presenter thinks the 'Roar' hitmaker - who was a guest judge on the show in 2010 - is the perfect example of a dedicated pop star so would love her to join him at the Judges' Houses stage of the competition to select his live finalists. He said: "I really want Katy Perry to do it. I think she'd be great because she's really fun and has a full-on star persona. "She works all the time and never complains about being tired and that's important. You feel like she really wants it. "She has the right attitude if you want to be a pop star and doesn't do the whole diva thing." Nick's family are enjoying his stint on the show just as much as he is and his mother has even fallen for the charms of tough show boss Simon Cowell. Nick laughed: "Simon is so charming, my family came to auditions for the weekend and he won over my mum right away. He was driving her around in a golf buggy." Meanwhile, Simon is astonished by how many friendships Nick manages to maintain. He told Closer magazine: "Nick manages to have more friends than anyone I have ever met in my life, it's astonishing. And even more astonishing is that he really likes them. I mean, they're everywhere!"